A grey trench-style coat makes for a great addition to any wardrobe. It instantly elevates any look as seen with this casual cool outfit. 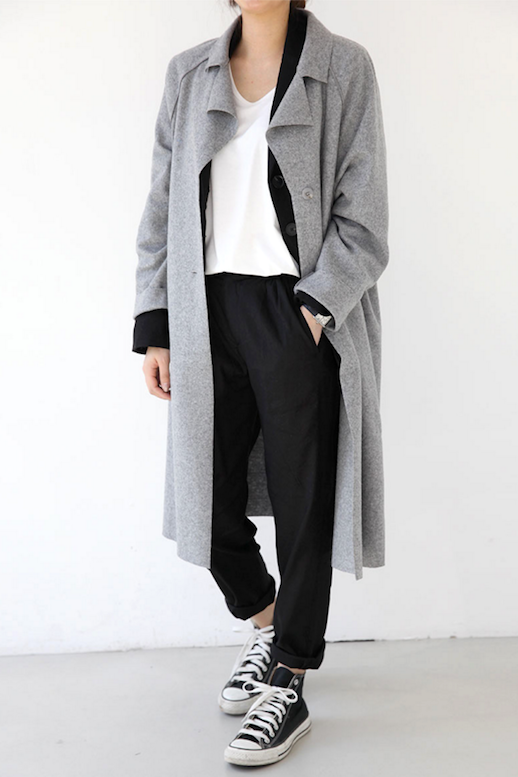 Throw the classic coat over a black cardigan, a white tee, slouchy black pants, and black high top Converse sneakers. It's that simple!